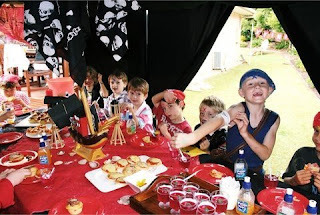 party perfect: ahoy, pirate party! I think I officially have pregnancy brain (due with #2 in October)...this very cute party has been in my inbox for sometime...and I thought I posted it, but then again, I don't think I did. So, I must share. 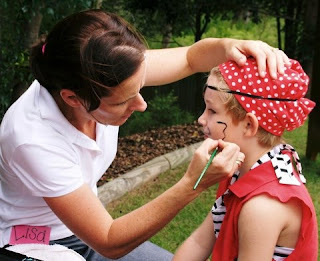 This is from mom, Cassie (who I think every kid must wish was their mom because she throws the most amazing parties for her kids!). 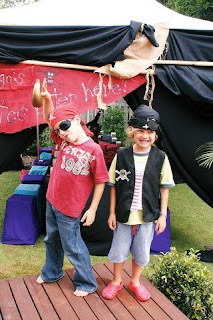 A pirate themed party for her son, Hugo (remember her cooking class party for Felix?). 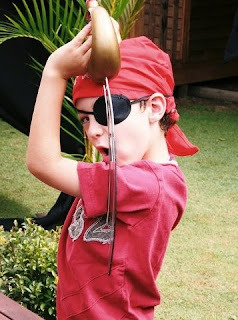 So much fun, I think this would be any boy's fantasy. cute! i love the pic of them hopping in those bags! what a great mom. it could be a girl party too. 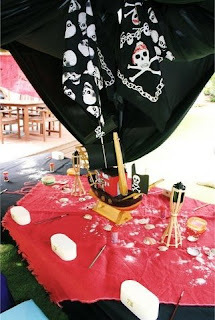 My going-to-be-4 neice decided she is having a pirate party. this will give us some good ideas...thanks. Great party and congratulations to you! OMG this is awesome. 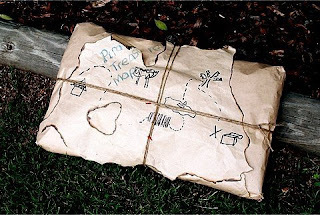 The treasure maps are my fave. 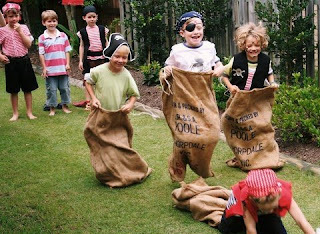 And potato sack races?! So much cooler than a bouncy house. So cute! I love that tent!